This month we are pleased to welcome as a guest host and event sponsor the Ottawa Chapter of the Canadian Green Building Council. Kimberly Bouffard has generously accepted to manage the onsite activities. Fin MacDonald is the Manager of the Zero Carbon Buildings Program at the Canada Green Building Council. Prior to joining the CaGBC, Fin worked as a building sustainability consultant specializing in greenhouse gas emissions, energy benchmarking, and LEED. Fin’s work history in the carbon industry includes both the quantification and verification of greenhouse gas emissions. 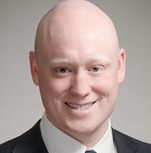 He has performed work for three of the big five Canadian banks, and also serves on the technical advisory group for the Ottawa region’s Carbon 613 GHG reporting program. Visit the Ottawa Chapter, CaGBC. Cost: FREE, first round of appetizers compliments of the Ottawa Chapter of the Canadian Green Building Council.